Every week I will be posting about a few things I am obsessed with lately! Whether it’s an awesome beauty product, a ‘you have to watch this’ show, or my favorite sweet treat, I’m spilling the beans and letting you in on all my best kept secrets. If you haven’t heard of these great conditioning treatments, you have been missing out! For those who don’t know, I am obsessed with making sure my hair stays as healthy as possible. This is no easy task as I am a natural brunette who loves being a bright, beachy blonde. It is no surprise that the 3 Minute Miracle has been a life saver as it has miraculously kept my hair strong, healthy, and moisturized despite the constant damage and bleach I put it through. To be 100% candid, I recently went through a phase where I was convinced that I had to buy a fancy, sulfate-free shampoo and conditioner to keep my hair in a healthy state (you know, the kind that is ridiculously expensive that your hair stylist convinces you to buy or your hair might as well fall out…). Boy, was I wrong! I ran out of my fancy smancy hair products on our honeymoon and the only place to buy more conditioner was Publix, so I went with my old time favorite from high school and my love for this deep conditioner rekindled! 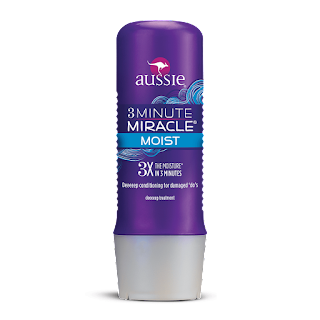 The Aussie 3 Minute Miracle now comes in five different varieties specifically for your needs! Whether you want your hair to be strong, moist, smooth, shiny, or color protected, there is a 3 Minute Miracle treatment for you! I, personally, mix the treatment with my regular conditioner every single time I wash my hair. I also switch back and forth between the strong and moist 3 Minute Miracles to keep my hair lusciously hydrated, healthy, and beautiful! The best part? This conditioner is only $3!! The next thing I’m loving lately is the Essie nail polish in the shade Mint Candy Apple! Well, to be completely honest I’m obsessed with Essie in general! In my opinion, Essie has the best shades with the most variety and the polishes are priced at a good middle range (depending on the store, these polishes will be around $8-$10). I absolutely love Mint Candy Apple! It is a soft neon blue/green shade that is so versatile that it can be worn during any season and look flawless. The formula isn’t too thin or thick, making it super easy to apply, which is always important in my book! 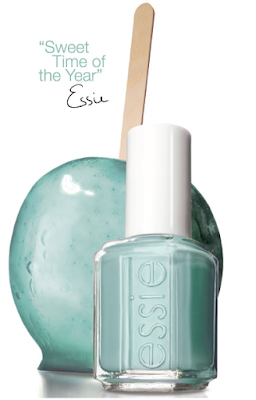 Though this shade has been out for over a year, it can still be found in most places that sell Essie. Be sure to check out fellow beauty blogger, From Head to Toe, Manicure Monday featuring Mint Candy Apple! This is again, one of those products you have to try! This blush is long-wearing so you can rest assured that it’ll stay vibrant and glowing for up to twelve hours! I don’t know about you, but I never have time to touch up my makeup during the day, therefore products that are long-wearing always draw my attention! According to Tarte Cosmetic's website, “Amazonian clay minimizes oil in and around pores to balance skin and keep product in place while also hydrating the skin naturally to restore moisture, reducing the appearance of dry, flaky skin.” All of those benefits plus 15 gorgeous shades to choose from? YES, PLEASE! Did I mention that the shades also range from matte to shimmer finishes and offers a wide variety to compliment different skin tones? What more could a girl want! Though this product is on the pricier side ($28 a pop), it is TOTALLY worth it! 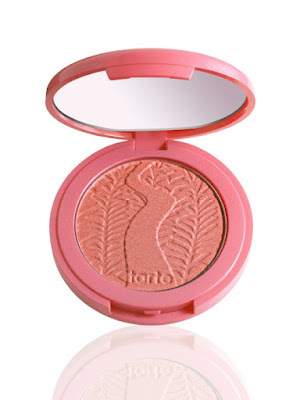 Take my advice, I had gotten a smaller size blush in a Tarte gift last Christmas and I fell in love! However, when the sample size ran out, it took me months to convince myself to take the plunge and buy the full size version. I even tried many different drug store blushes in hopes of finding a dupe but nothing compared to the real thing! I finally caved and bought the shade Glisten, a gorgeous pinky/peach color with a slight shimmer finish. The shimmer makes it perfect for the days that I don’t want to apply a highlight yet still want some color and a little pop added to my cheeks!! I can now justify spending almost $30 on a blush because you get a ton of product and it is my go-to blush that I wear every, single, day. Lastly, let’s talk Scandal! If you are one of the few people that haven’t jumped on the Scandal train, you need to NOW! I am obsessed with Scandal. Obsessed in the ‘nobody better talk or text me for the next hour because Scandal is on’ type of obsessed. The show combines love triangles, government conspiracy, and oh so many scandals into a suspenseful, captivating, “what just happened? !” Thursday night. And who can help but totally love and want to be Olivia Pope? There’s not much more I can tell you other than you should totally go on Netflix (as soon as you finish reading this post) and start watching every season of Scandal now! I promise, you’ll totally become obsessed too. And you have just enough time to join me in re-watching seasons 1-4 before TGIT returns with season 5 premiering on ABC on September 24 at 9pm! PS- Team Jake or Team Fitz? Tell me who you want to see Olivia end up with in the comments below!